Thinking about getting a new home heating system? Before making a decision, savvy consumers should consider the many advantages of heating oil. A far cry from the smelly oil burners of the past, today’s oil heating systems provide clean, safe, efficient, cost effective and environmentally sound heat that provide security against the cold. New technology has created the most efficient generation of domestic heating oil systems ever. 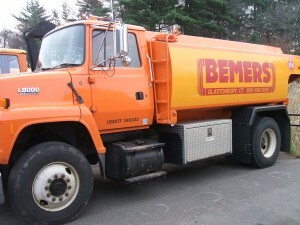 Bemers is proud to offer delivery of home heating oil. Become a new customer and find out how easy it really is! Plus, if you have propane with Bemers you can receive additional savings on your home heating oil.